Imagine if you will, being taken from your home, without a reason or charge, by paramilitary police, who regularly collude in the murder of lawyers and journalists. You are then imprisoned for three years, without being told, how long you will remain kidnapped, by these scum state thugs. When a judge is informed about the details of your kidnap, he orders your immediate release. You are taken to the front gate to be released, where you are about to embrace your loved ones, when another dictatorial order, from an unelected English Viceroyal, who inherited her appointed position, from her great, great grandfather, who disappeared millions of your people in a holocaust, orders your kidnap perhaps for the rest of your life, again. Is this mental torture ? Is this a breach of your human rights. 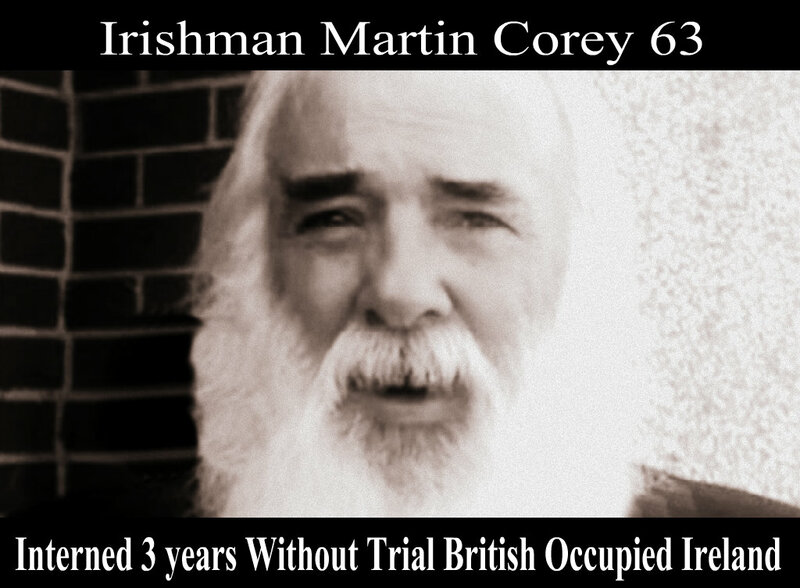 In the instance of Martin Corey, bearing in mind the trauma and his elderly 63 years, it may well be in fact a death sentence, with the history of considerable torture, suffered previously by Martin, at the hands, boots and batons of sectarian state kidnappers who imprison you. The last time Britain introduced internment without trial in the early 1970's, Britain was found guilty by the European Court of Human Rights of torture, when Martin Corey was also battered and tortured, at that time. Now 40 years later, they are torturing him again, refusing dental treatment for weeks on end of agony, while his handicraft wooden work, is smashed by sectarian prison guards. How then can there be peace, with such injustice in British Occupied Ireland? How can the Peace Process work, with the British Tories systematically undermining and breaching it? With British internment without trial last time, the Nationalist Constitutional Party of the SDLP, was forced to withdraw from a parliament, dubbed by their arrogant scum state establishment, as a Protestant Parliament for Protestant people. How then can a supposed Irish Republican Party, now stay in the very same Parliament, even when their own peace loving members, the latest being John Downey, are also being imprisoned for activity, part of the settlement, long before the Agreement. The internment of Marian Price, like the internment of Martin Corey, demonstrated further divisions in the criminal justice system in British Occupied Ireland, following the devolution of policing and the criminal justice framework agreed, after the Hillsborough Agreement of 2010, which was all part of the Peace Process. Marian's case demonstrated the ongoing, all embracing, dictatorial power, of the English Viceroyal for British Occupied Ireland, in matters of social control and in controversial internment cases, such as Martin Corey. The reliance by the British on closed material procedures, in alleged terrorist cases, is simply internment without trial and of particular concern to human rights groups, in that the Parole Commissioners, are not members of an independent judiciary in British Occupied Ireland, but are in fact British appointed officers, who were the internment agents, determining the conditions in the first instance. The role of the Parole Commissioners in Marian and Martin's case and their lack of accountability and authority, should have been put to the scrutiny of the Political Stormont Assembly Justice Committee of the Peace Process a long time ago. The Parole Commissioners in effect gave authority to the decision of judges made years ago, that Marian Price and Martin Corey should be released on bail pending investigations of the PSNI. It was these decision that the the Viceroyal for British Occupied Ireland ignored, in evoking dictatorial powers, in relation to categories of individuals released or interned under cover of licence, thereby directly interfering with the independence of the judiciary of British Occupied Ireland, who ruled years ago, that both Marian and Martin Corey should be released. The powers that could have released Marian Price on compassionate grounds, were not exercised or supported by the supposed Minister of Justice, who misled the Stormont Assembly and the public, after being bullied by MI5 and sectarian power brokers in the Assembly. David Ford therefore exacerbated the medical and psychological conditions of both Marion Price and the elderly Martin Corey, as their internment was illegally prolonged,without charge or a time frame, which after three years in Martin Corey's instance, is mental torture and a blatant breach of his human rights, even by the tinpot dictatorial standards of Viceroyal kidnap, in British Occupied Ireland. Martin Corey is a fragile old man, who did his bit for his country years ago, like our recently deceased Ruairí Ó Brádaigh. He is a patriot in every sense of the word, of war that had a peace Agreement which the British signed. Only someone acquainted with the extreme sectarianism around Portadown and Lurgan, would understand Martin's heroic, selfless defence of his community, threatened with extinction like the destruction of Bombay Street 40 years ago. Martin in his old age, deserves respect, along with the peace and justice he craves for his community threatened with extinction, by the very same discredited forces of the disbanded RUC, that he guarded with his life, so zealously and paid so dearly, with 22 long years of imprisonment, torture and abuse by the British regime, found guilty at the European Court. of Human Rights in Strasbourg. Enough is enough, the supremacist British Tories and their sectarian, fascist Orange Order prison regime, have had their pound of flesh, many times over with Martin already. Before the funeral of Ruairí Ó Brádaigh last week, Martin spent 19 years, before being interned for the last three years, lovingly, hand carving a Celtic cross, as a mark of the esteem, which he held Ruairi, during those long years of hardship. The photo of this presentation to Ruairí, is the only possible flimsy evidence of Martin engaged in anything remotely political. I am asking all people with compassion, across the sectarian divide, who have respect for their elders, a sense of fairplay and international standards of justice, to campaign on twitter and facebook internationally for Martin Corey. 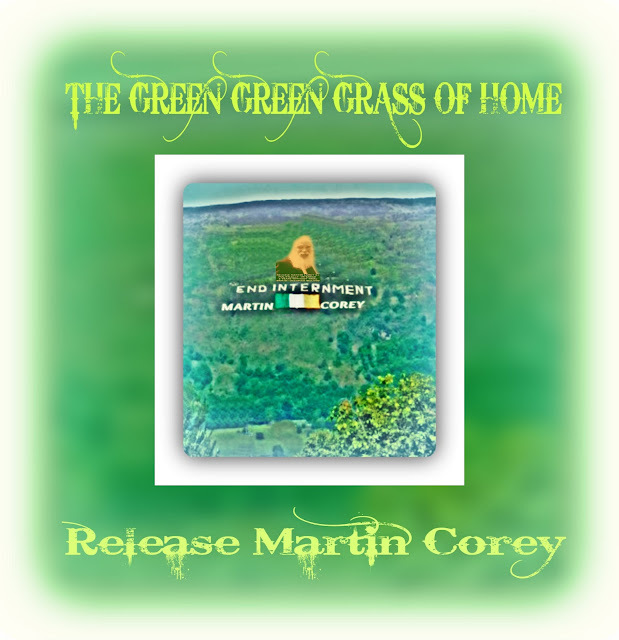 Campaign to Release Martin Corey. Do it for a lasting Peace with Justice in ireland. The Workers Revolutionary Party is a Trotskyist group . Comrade Clarke , Revolution , nice to see your carrying on the good work now in the guise of Republicanism. An T-idurnaisunta Eirigi, a lucht ocrais, as bhur gcodladh! Eirigi, a dhaoraithe na gainne! Mar anois ta an reabhloid ag tonnadh, is ta deire le re na cainte! Amach le bhur bpisreoga uile, A sciabhaite, Eirigi! Eirige! Athrom﻿ anois na sean-droch-idi, 'S teanam i mbaol ar thoir na buaidhe! Anois a chairde, tagaigi uile Ta an cogadh deiridh ar suil! Aontaionn an tidirnaisiunta An cine daonna go leir! If our subject persuades himself to believe contrary to the evidence in order to evade, somehow, the unpleasant truth to which he has already seen that the evidence points, then and only then is he clearly a self-deceiver . If I simply wanted votes, i would be still in Provisional Sinn Fein but you see i am not a careerist politician. 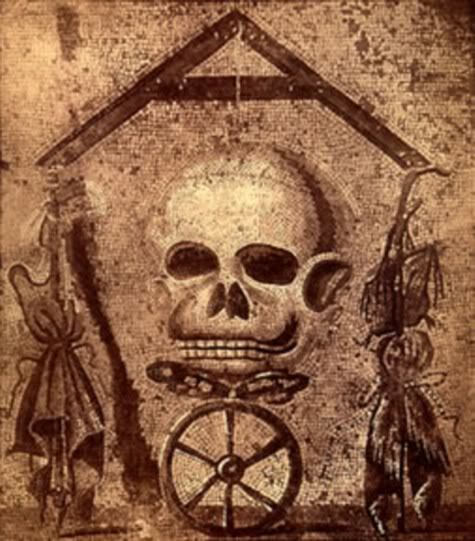 I am not sure you noticed but this thread is not about me, it's about Martin Corey who doesn't have a life right now, because imperialists, or to be more accurate, uncivilized pirates, who learned their trade from the Roman Empire, invaded his community and he was unselish enough 40 years ago, to defend that community. Martin was neither charged or given reason or trial as in a civilized country and his life of freedom has been being taken away from him. His local lawyer Rosemary Nelson, who would normally defend him, was murdered by the same state imperialist British forces, but then he wasn't even given a trial. He therefore has to go to the European Court of Human Rights, where Britain was already found guilty o f torture of Martin's comrades, interned 4o years ago, to try get justice. The lawyer Pat Finucan, who was an expert on European Law in Belfast, was also murdered by British state forces. Now that doesn't leave Martin with many options, other than to plead his case with the public despite considerable British censorship but then Martin's local journalist was also murdered by British state forces, that's why I am here ,trying to do the best I can, as a citizen(not commoner) journalist. Seeing as you learned your craft from Imperial Rome and bearing in mind your good name, Mr. Ivor Bigun, I have a friend who is wondering if you knew this fellow dinosaur in the video below? With regard to getting a life , I already got one, a very good one, thank you, you see I am a freeman. Life is short Ivor and we pass this way but once, everything after that for me at this stage, is a bonus but community like life, is bigger than the self, as you will no doubt learn one day, when life puts manners on you as it does with us all, ask Maggie Thatcher, who said their is no such thing as community. The British Government mentored loyalist paramilitary groups like the UDA, along with its widespread infiltration of a locally recruited regiment of the British Army, as part of its counterinsurgency policy of using loyalist paramilitaries, as allies in the war against the native Irish population. In the process they murdered hundreds of innocent people, like lawyers, Pat Finucane, Rosemary Nelson and journalist Martin O'Hagan, at the behest of the British State's SS, the RUC Special Branch, MI5 and the FRU. The relationship between loyalist paramilitaries and the British state, was and still is similar, to the relationship between the Contras and the US administration of Ronald Reagan and Oliver North. The many innocent civilians murdered as part of these counter insurgency policies, is still regarded by the British Government particularly the Tories in London, as mere collateral damage as are their own cannon fodder. 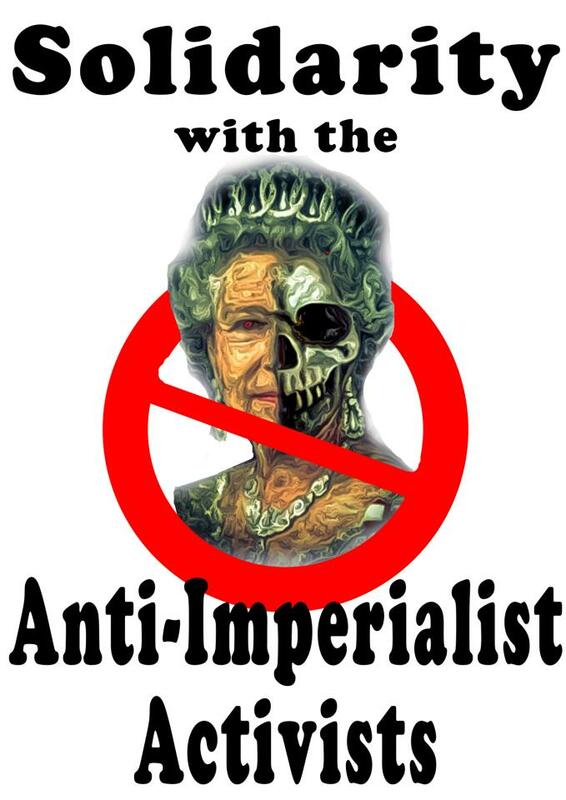 At the early part of the 70's, the British were sponsoring, over a hundred heavily armed local British soldiers, along with scores of British paramilitary police, in an area known as 'The Murder Triangle', to regularly murder local nationalists, many of them totally innocent of any political activity, in a campaign of repressive fear oppression and ethnic cleansing. One of the first inquiries to shed light on this form of intelligence-led policing and fear based ethnic cleansing, was the Stalker Inquiry. John Stalker an honest English policeman, was asked in May 1984 to investigate six deaths at the hands of the RUC in three separate incidents in 1982. Before he had completed his investigation this honest policeman from Manchester, was removed from the inquiry and suspended from his post in the Greater Manchester Police (GMP) on suspicion of associating with known criminals in Manchester. He was later cleared and reinstated but retired within a few months, the damage to the investigation was done. In his book on the affair, John Stalker, gives his impression of RUC Special Branch after investigating two of the incidents. The Special Branch targeted the suspected terrorist, they briefed the officers, and after the shootings, they removed the men, cars and guns for a private de-briefing before CID officers were allowed any access to these crucial matters. They provided the cover stories, and they decided at what point the CID were to be allowed, to commence the official investigation of what had occurred. The Special Branch interpreted the information and decided what was, or was not, evidence. "I had never experienced, nor had any of my team, such an influence, over an entire police force by one small section". He described at length the way the Special Branch and MI5 gave him the run-around and refused to give him vital information. He had discovered that in one of the incidents, in which two people had been shot in a hayshed, the building had been bugged by MI5. He had requested access to the tape and the file of the informant who had been involved in this and one of the other incidents. Some six months after first requesting the tape, he was told that it no longer existed, but he could have the transcript provided he signed a secrecy form. He refused so Special Branch and MI5 did not allow an independent police investigator access to crucial information. The protection of their informer took precedence over accountability and transparency. Stalker’s persistence had dire personal consequences. He was subsequently removed from the inquiry on carefully circulated lies.These are the same people to this day who decide who is interned without trial on the unreliable paid evidence of self serving informers. This is the secret SS scum state that interns Martin Corey today. 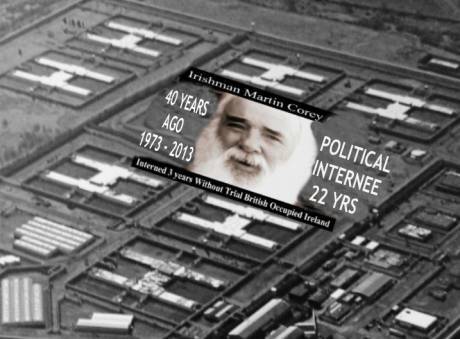 To understand the 22 years spent behind bars by Martin Corey, we must understand this war on ordinary Irish people in their own land by British Imperialists. "All the wishing in the world will not achieve the impossible. There is no way out of this torturous dilemma but the more difficult way that must be faced up to sooner or later. Law and order will not return to British Occupied Ireland on any basis but one. It will have to be seen to apply equally and fairly, to everyone in the land, whatever their position, even if they wear a uniform or hold a seat in Parliament. Only when that is seen to be happening, will the laws gain the respect from the community upon which its validity rests. This respect had been lost in British Occupied Ireland. It must be regained and strengthened. When those who make the law, break the law, in the name of the law, there is no law." The current use of internment without trial, secret evidence, secret trials, the primacy of secrecy around paid, informer's evidence and political policing, is certainly not the way to a lasting peace. Justice must not be just done, but must clearly seen to be done by all sections of the community. Anyone who ignore this reality, is a superficial careerist who is not genuinely interested in peace. It is the consistent position of traditional Irish republicans, that this is not possible within a scum state, within the small island of Ireland, created originally, strictly on the basis of a sectarian head count by the British to create division as in all of their colonies to justify their presence and maintain their self interests with exploitative supremacy. U.K.,powerful, warlike, but in general, ignorant of the word of God, namely, ignorant in the way of dealing with its neighbors, in agreement with the Holy Scriptures. Much less, the meaning of human rights, in agreement with the God words or in what is correct, (that is the same expression). They are blinded in their banality. Gerry Adams seems to be the exception of the rule, about the release of Marian Price. Gerry Adams, shows a real change attitude, not only nice words. The pain that means to have an innocent man, Martin Corey, and other people in a similar situation, in prision without trial is so terrible. The U.K. has to understand, that this situation makes dificult to them leave aside hatred, the legitim desire for revenge, after decades of that misunderstanding never end. Britain must leave the hate out from jail, Irland, must abandon the practices of hunger strikes, because they bring more resentment. It is important, a good campaign to impart knowledges to the british. The knowledge is needed over others, such as sharing the wealth without being austere one another, so as to obtain a better life for both. The british have learned to kill and win, hoping they are touching the sky with their hands, killing people, obtaining more benefits, while in reality what they are doing, is to stay in front of the gates of hell during a long time. Gerry Adams, A Question of Honour, Martin Corey? Gerry Adams was interned in March 1972 and released in June to take part in secret talks in London. An IRA delegation met with British Home Secretary, William Whitelaw in Chelsea. The delegation included Gerry Adams, Martin McGuinness, Sean Mac Stiofain, Daithi O'Conaill, Seamus Twomey, Ivor Bell and Dublin lawyer Myles Shevlin. The IRA insisted Gerry Adams be included and he was released from internment to participate. He was re-arrested in July 1973 and interned at Long Kesh internment camp along with Martin Corey who served almost 20 years at that time. Martin Corey has, after serving almost 20 years as a political prisoner, since his unconditional release in 1992, been interned again over three years ago without any reason, charge or sentence given to him. Gerry Adams after taking part in an IRA organised escape attempt, was sentenced to a period of further imprisonment. During this time, he wrote articles in the paper An Phoblacht under the pseudoynm "Brownie", where he often criticized strategy and policies of Ruairí Ó Brádaigh and Billy McKee. He was extremely critical of McKee who decided to assassinate members of the Official IRA from whom they split and were on ceasefire since 1972. Many still believe that Gerry Adams denials of membership of the provisional IRA, are based on the fact that he was in fact always a member of the Official IRA only, never formally joining the Provisionals. After his release in 1976, he was again arrested in 1978 for alleged IRA membership, the charges were subsequently dismissed. A long standing Irish Republican principle claims that the only legitimate Irish state, is the Irish Republic, declared in the Proclamation of the Republic of 1916, which they consider to be still in existence The legitimate government of Ireland was vested in the IRA Army Council, with the authority of that Republic in 1938 by the last remaining anti-Treaty deputies of the Second Dáil, while others see the death of O'Bradaigh as the last in that link. Gerry Adams continued with this claim of republican political legitimacy, until his 2005 speech to the Ard Fheis, when he rejected it in his typical duplicitous manner, by saying : "But we refuse to criminalise those who break the law in pursuit of legitimate political objectives. .. Sinn Féin is accused of recognising the Army Council of the IRA as the legitimate government of this island. That is not the case. .... we do not believe that the Army Council is the government of Ireland. Such a government will only exist when all the people of this island elect it. Does Sinn Féin accept the institutions of this state as the legitimate institutions of this state? Of course we do." Bearing all of this in mind and the politically sensitive issue of policing and justice in British Occupied Ireland, where the Provos surrendered their arms without, any supposed promised real power sharing in the devolved Assembly, makes their participation look hollow indeed, bearing in mind Mr Adams promises of power sharing to IRA members, as the basis for the Peace Process. Meanwhile interned traditional Irish Republican Martin Corey still maintains he still has absolutely “no idea,” why he is being interned without trial more than three years.Speaking from a hellhole in Maghaberry gaol, the Lurgan man says he believes he has been interned strictly because of his political belief in a United Ireland. In other words 'an Irish prisoner of political conscience' in Gerry Adam's negotiated British Occupied Ireland???? un-available for comment, a spot of fox hunting like her previous ancestral Viceroyal, perhaps? Neither was Gerry Adams available, who has done nothing of substance, other than stating publicly, after the recent release of the interned Marian Price: “The logic of today’s release is that Martin Corey should also be freed.” However many Irish Republicans including his own supporters believe this is no longer good enough or acceptable, bearing in mind his position as President of his party, his undertakings of power sharing, when selling the Peace Process to IRA volunteers, the surrender of arms without direct input in matters like core policing, internment without trial, the reluctance to hold the 'Justice' ministry at the Assembly to account and his own history of non-accountability, on critical issues of public importance. What is causing further scrutiny of Gerry Adams, in the instance of Martin Corey, is that not alone were they both comrades in defending their own community from ethnic cleansing and from the collusion of the British State, with sponsored British sectarian death squads, which included up to a hundred British soldiers and their own British paramilitary police. They were also comrades, when both were interned without trial, in what became known as Long Kesh Concentration Camp. They were tortured together in the British invented Concentration Camps which Hitler used with such infamy. Will the British succeed in dividing them, as they did previously with De Valera and Irish republicans? Of course "intelligent Irish republicans" as Gerry's colleague Martin McGuinness often says, know that Gerry Adams has not put all his political cards on the table, with regard to this issue or indeed any of the issues mentioned above. However bearing in mind Martin Corey's 63 years and the current fragile state of the 'peace process' the last thing people need or want is another Hunger Strike by a Long Kesh, H-Block internee, bearing in mind the history of Bobby Sands and the total of the 10 hunger strikers, who already died by this last resort of non-violent protest. One of the last recording, made of the previous late President of 'Sinn Fein', who was criticized so much By Mr Adams, Ruairi O Bradaigh quoted, "The woods are lovely, dark, and deep, But I have promises to keep, And miles to go before I sleep, And miles to go before I sleep." Ruairi kept his promises, Will Gerry Adams keep his prosmises to the people who have learned from bitter experience, is that they rely on people like Martin Corey to defend them and simply cannot trust British Paramilitary police or a disarmed IRA that let them down so badly last time. This is the harsh reality that many new political careerists ignore but which Gerry Adams dare not forget..
For whatever it's worth, my explanation of this particular "mystery", and a number of other very similar mysteries like it, is that our unelected and virtually "impossible to replace" legal profession oligarchies are arrogantly and unlawfully putting themselves ABOVE the law, and "the people" BENEATH it: and getting away with such outrageous abuses of the legal justice system because our "elected representatives" (so called) are behaving -- in many, though not all respects -- like the "mice" in Aesop's fables; please see description in the section just below. And, it's JUST AS EASY, and FAR TOO COMMON at the present time (in my opinion), for elected "representatives of the people" (so called) to slyly and silently shy away from high-quality remedies which ARE legally possible (at the present time): because the politicians in question don't "have the guts" to raise such legal remedies, and to peacefully and respectfully demand their application and implementation IN PUBLIC on behalf of people like Martin Corey: who has ALREADY been desperately in need of an "Article 47" type remedy for several YEARS now. Legal aid shall be made available to those who lack sufficient resources insofar as such aid is necessary to ensure effective access to justice. "Everyone whose rights and freedoms as set forth in this Convention are violated shall have an effective remedy before a national authority notwithstanding that the violation has been committed by persons acting in an official capacity." However, in Union law the protection is more extensive since it guarantees the right to an effectiveremedy before a court. The Court of Justice enshrined that right in its judgment of 15 May 1986 as a general principle of Union law (Case 222/84 Johnston  ECR 1651; see also judgment of 15 October 1987, Case 222/86 Heylens  ECR 4097 and judgment of 3 December 1992, Case C-97/91 Borelli  ECR I-6313). According to the Court, that general principle of Union law also applies to the Member States when they are implementing Union law. The inclusion of this precedent in the Charter has not been intended to change the system of judicial review laid down by the Treaties, and particularly the rules relating to admissibility for direct actions before the Court of Justice of the European Union. The European Convention has considered the Union's system of judicial review including the rules on admissibility, and confirmed them while amending them as to certain aspects, as reflected in Articles [III-258 to III-289] of the Constitution, and in particular in Article [III-270 (4)]. Article 47 applies to the institutions of the Union and of Member States when they are implementing Union law and does so for all rights guaranteed by Union law. everyone is entitled to a fair and public hearing within a reasonable time by an independent and impartial tribunal established by law. Judgment shall be pronounced publicly but the press and public may be excluded from all or part of the trial in the interests of morals, public order or national security in a democratic society, where the interests of juveniles or the protection of the private life of the parties so require, or to the extent strictly necessary in the opinion of the court in special circumstances where publicity would prejudice the interests of justice." In Union law, the right to a fair hearing is not confined to disputes relating to civil law rights and obligations. That is one of the consequences of the fact that the Union is a community based on the rule of law as stated by the Court in Case 294/83, "Les Verts" v. European Parliament (judgment of 23 April 1986,  ECR 1339). Nevertheless, in all respects other than their scope, the guarantees afforded by the ECHR apply in a similar way to the Union. With regard to the third paragraph, it should be noted that in accordance with the case law of the European Court of Human Rights, provision should be made for legal aid where the absence of such aid would make it impossible to ensure an effective remedy (ECHR Judgment of 9.10.1979, Airey, Series A, Volume 32, 11). There is also a system of legal assistance for cases before the Court of Justice of the European Union. you are of course correct. My guess is that the primary reason for the reluctance to take this matter to Europe is the time consuming nature of it. I suggest you try contact Gareth Pierce in London or her offices and try find someone she would recommend the case to. I would alos suggest you try find the help of a final year law student. Explain to the lawyers that there is a form of legal assistance. I also suggest you take the matter up with the signatories and guarantors of the various agreements, that were part of the peace process. I am overseas in Asia and very busy with social media. Persistence will out the truth and justice for Martin. I suggest you try recruit help and of course you basic agitate, educate and organize! 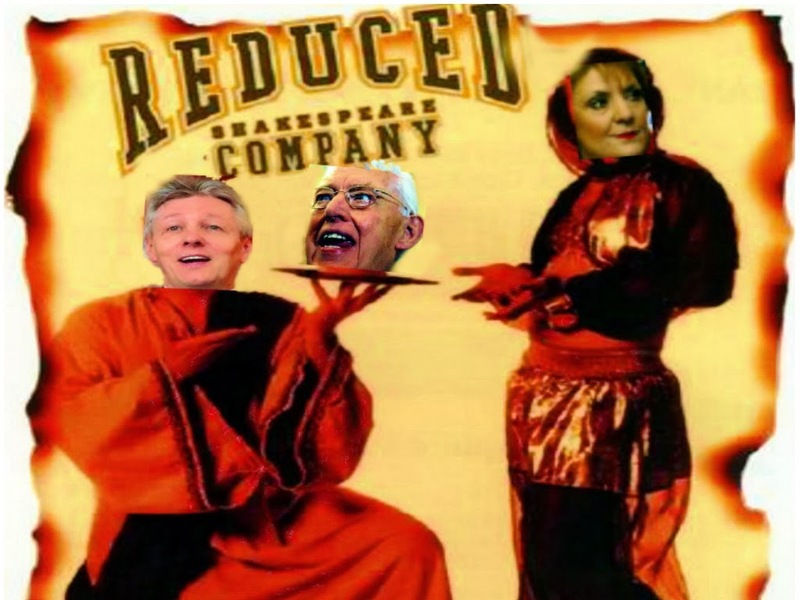 P.S Forget Baroness Ashton she is integral British part of NATO and no friend of Humanity or Ireland. GERRY ADAMS QUESTION OF HONOUR, MARTIN COREY ?